Available in various quantities. Come with reinforced paper washer hole for hanging. 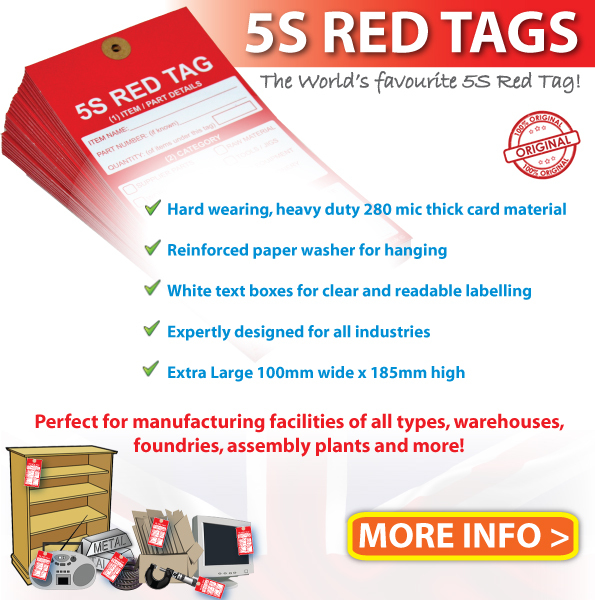 Perfect for all types manufacturing facilities, factories and warehouses.